The Cumru Township Fire Department (CTFD) was created through Township ordinance in 2004 and is funded through a fire tax. 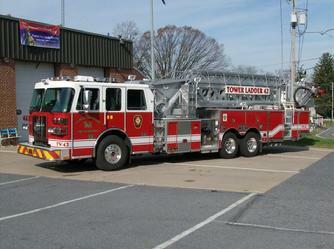 Over the past several years, the Township and Fire Companies (Gouglersville Fire Company No. 1, Cedar Top Volunteer Fire Company, No. 1, and the Volunteer Fire Company No. 1 of Grill, PA.) have worked to streamline operations, functionally and legally. The Township has purchased the Cedar Top Station an execute lease agreements for use of the fire stations at Gouglersville and Grill. Each company has transferred all fire apparatus and equipment to the Township. The Township has appointed a single set of fire officers to serve the Department. The debut of this new organization took place on July 1, 2010. The Department consist of volunteer and career fire fighters. Volunteer fire fighters provide coverage 24/7. The two career fire fighter/drivers provide increase daytime response Monday thru Friday. The mission of the Cumru Township fire Department is to provide the highest level of emergency services and protection to our Township from all hazards through education, awareness and dedication and service of a well-trained, efficient and effective force of volunteer and career fire fighters. The Cumru Township Fire Department will be a single, unified combination department consisting of dedicated, professional, well-trained volunteer and career staff members.